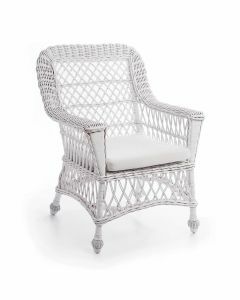 This gorgeous wicker chair features a green finish and comes with the cushion as shown in the picture. 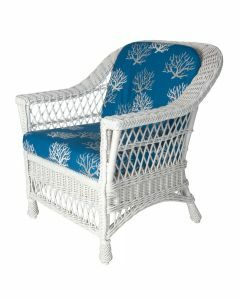 The chair measures 36’’ x 23’’ x 27’’. The arm height is 16.5’’, the seat height is 26’’. Interior use only. Clean with damp cloth. Dry immediately. Avoid harsh chemicals. Click on image for greater detail.